Discover the Treasures of Paris! 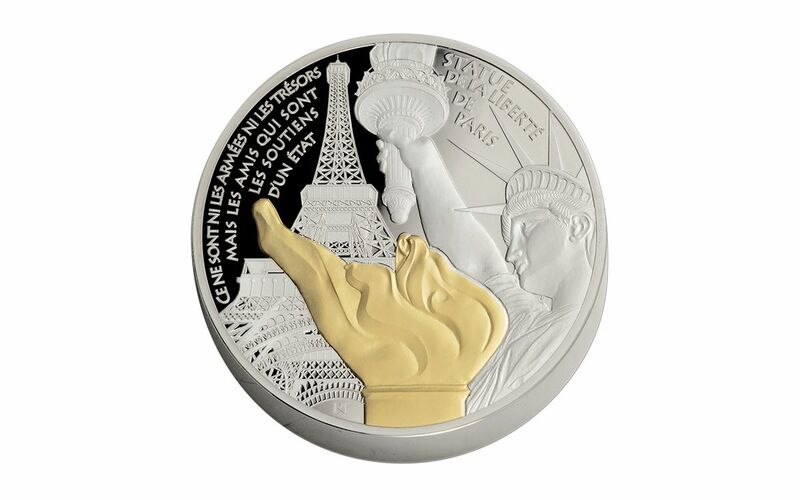 Fresh from the Monnaie de Paris (Paris Mint) comes this Statue of Liberty Proof. 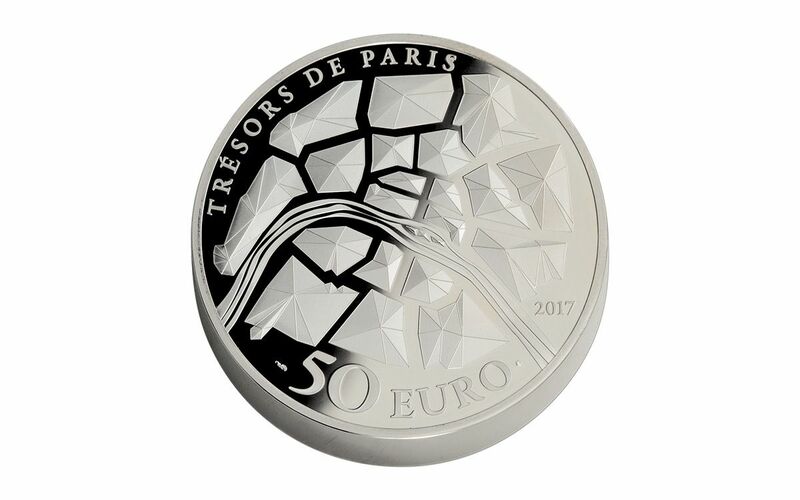 Each year, the Treasures of Paris series honors a different Parisian landmark, and this 2017 release depicts three! 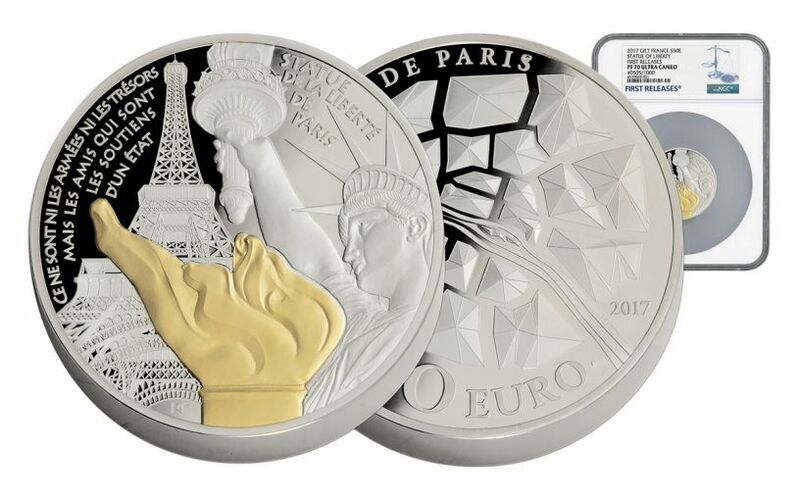 You get the Eiffel Tower, the French Statue of Liberty -- a smaller replica of the one gifted to the United States by the French -- and the Flame of Liberty, a life-size replica of the flame that sits atop the American Statue of Liberty’s torch. 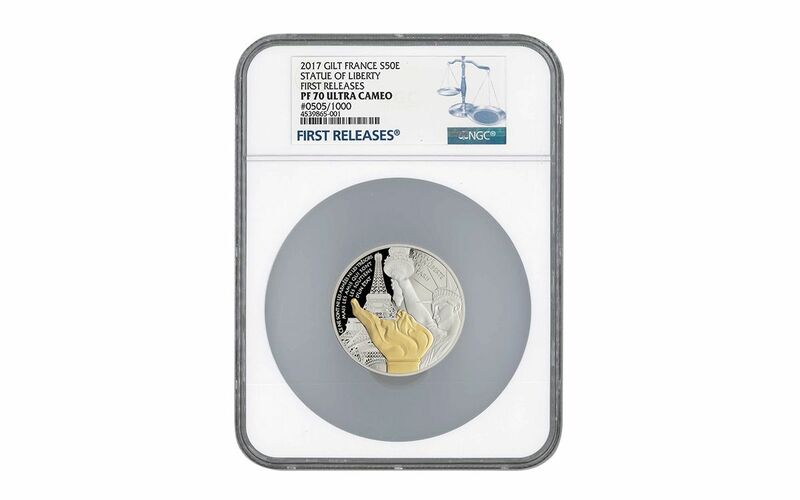 Get yours today struck in five ounces of 95% silver, graded by Numismatic Guaranty Corporation (NGC) as being in perfect Proof-70 Ultra Cameo (PF70UC) condition and certified First Releases (FR)! It even comes complete with edge numbering and a gold-gilded Flame of Liberty!